Have the knife that can do it all with the 375 Adamas Fixed Blade from Benchmade Knives. This blade features durable D2 tool steel as well as having a drop-point blade style with serrations on spine. A injection-molded sheath with secondary locking strap is included. Have the knife that can do it all with the 375 Adamas Fixed Blade from Benchmade Knives . 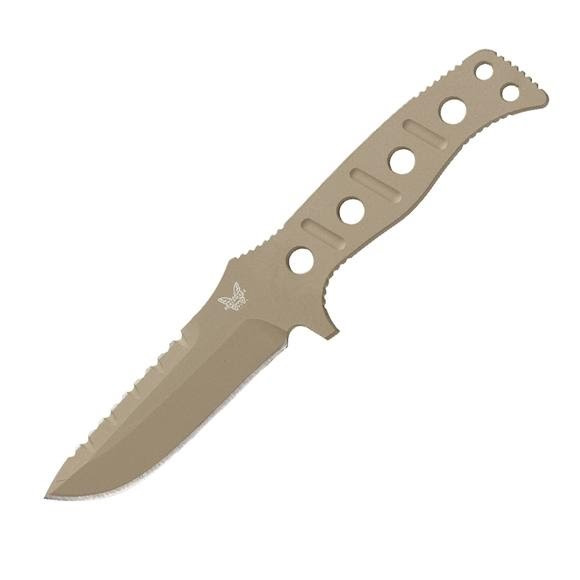 This blade features durable D2 tool steel as well as having a drop-point blade style with serrations on spine. A injection-molded sheath with secondary locking strap is included.